Ericsson and Comau used the 5G connectivity at Hannover Messe to show their Digital Twin innnovation. The project, which is currently being tested, is said to represent a further step in the partnership between Ericsson and Comau aimed at developing new use cases and solutions for Industry 4.0 and Smart Manufacturing. 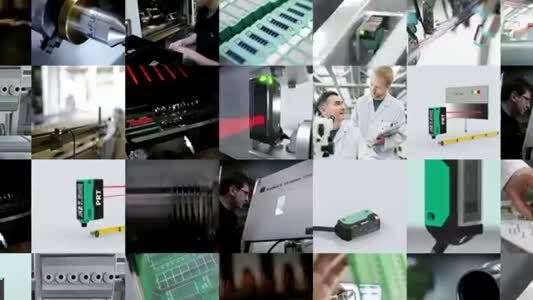 Comau and Ericsson show the digitized version of an assembly line in an automotive plant. Using special glasses for Virtual Reality applications, visitors are immersed in the line and can “move” within it, monitoring the key parameters of the processes and of the machines, such as vibrations, temperature, pressures and absorptions. A Virtual Reality digital dashboard, which can be used with a standard tablet, will identify situations that could create slowdowns or interruptions in the process by providing instructions to tackle the problem effectively. The features of 5G connectivity allow to collect a stable, continuous and massive flow of data in real-time that is vital for automation processes. Thanks to 5G low latency, the Digital Twin shows information related to the real robot in the form of visual outputs, which make it possible to understand how the robot activity will evolve in the cell. Not only: from the data analysis it is possible to foresee faults and malfunctions and identify which component must be repaired or replaced, suggesting which actions to take to operate effectively. 5G becomes the enabling technology for every analytics and digital intelligence remote activity on all assets of the production system. The pilot project presented in Hannover is the result of continuous development, combined with the commitment to research and innovation, by Comau and Ericsson, to enable the digital transformation process in manufacturing. “Comau's new digitally interconnected equipment delivers real-time production data where and when it is needed, helping reduce downtime while improving overall quality. Digitized analytics provide customers with a wealth of information regarding production flows and throughput – information that is made available locally and remotely. 5G is an enabling driver for the digital transformation within the Industry 4.0 environment, specifically for low latency, bandwidth and plug & play connectivity of factory equipment. The demo showcased with Ericsson shows how a digital twin can work in a production line”, points our Maurizio Cremonini, Comau Head of Marketing and Digital Initiatives Platform.